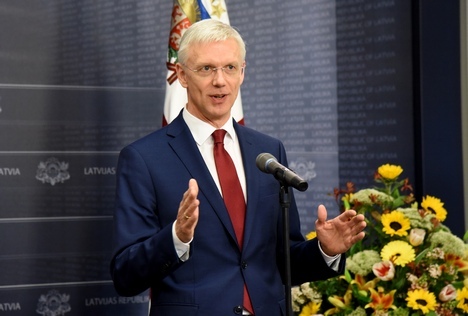 New legislation provides for the Saeima electing five independent council members with help from a personnel selection company. Until now the Saeima elected only one council member first and then the others who were usually also heads of different services. This meant there was a risk of conflict of interests, said the prime minister. He did not want to criticize the FCMC council, saying that the work of the commission can only be viewed in the context of its main functions. While until now supervision of dirty money was the council’s indirect duty, from now on it will be one of its main duties. Kariņš said he hopes the new FCMC members will be people with experience in foreign countries. On 26 March, Latvia’s government supported amendments to the Law on Finance and Capital Market Commission. These amendments provide for requesting the Saeima to approve a new council in the institution on 1 October. Early election of a new council in FCMC is explained with the fact that approved amendments to the FCMC Law expand the institution’s duties and functions, as well as expand the requirements for council members.